On my family vacation in New Hampshire over Fourth of July week, I brought a painting project: DBA army II/39b, Ancient Spanish Celtiberians. Thanks for trading me this army, Jeff! 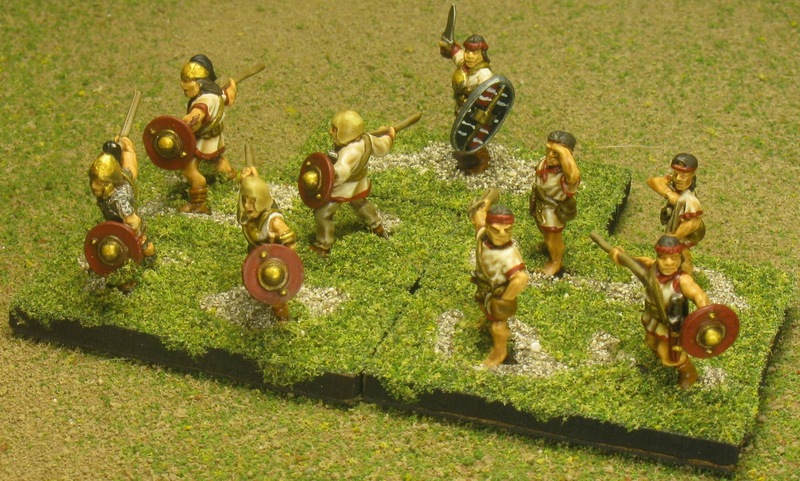 I needed it for the Two Davids campaign theme at Historicon, for the Punic Wars theme. Corvus Belli Celtiberians: 3Cv(gen), 2LH. These are all Corvus Belli figures. The pack I got from Jeff Franz came with only round shields. I didn’t think this was appropriate, so I ordered a pack of oval Spanish shields. Unfortunately they didn’t arrive before I left town, so all of these figures were painted without shields while I was on vacation, and then the shields were added and painted after the fact. or Raiders in the campaign. 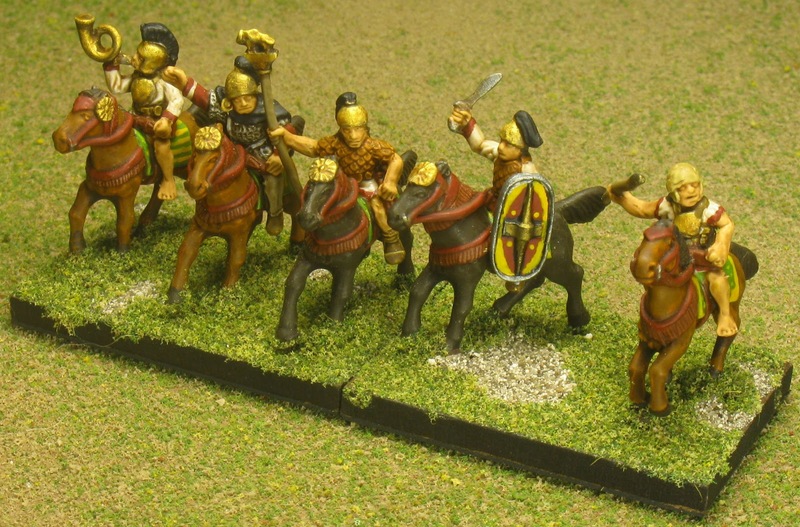 Corvus Belli Celtiberians: 4x2Ps, 1 camp follower. The figures are painted with simple flat colors, followed by a wash of Army Painter Strong Tone over the entire army. This is quick and effective, and when your army’s shields are its focal point, you don’t need much more anyway. The shields were primed black and then their patterns were painted, preserving enough of the black primer to define lines between the shield segments. Also simple, but effective. Unfortunately, during the campaign, the army was utterly slaughtered 4 games in a row. It was a fun army to play, but rolling 1’s doesn’t get you very far.